I have now joined the ranks of the retired, although I am still doing some freelance translating. Donna Amison Stevens has a birthday today. Donna Amison Stevens posted a message. 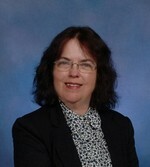 Donna Amison Stevens updated profile. View. Donna Amison Stevens has a birthday today. New comment added. Donna Amison Stevens joined via Class Connection Facebook app.